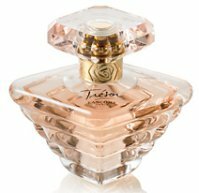 New from Lancome: Trésor Eau De Printemps Sheer, a limited edition "green-rose floral with a crisp, fresh bouquet of Rose Litchee, Peach Blossom and Sandalwood". The bottle comes with a detachable ring. The fragrance is available now at nordstrom. Profumi di Pantelleria has launched Maestrale, a new fragrance for men with notes of bergamot, lavender, rhubarb, rum, jasmine, iris, cardamom, coriander, cedar, vetiver and ambrette seed. (via cale.it) Profumi di Pantelleria Maestrale is available in 100 ml Eau de Toilette. 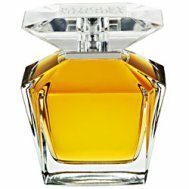 I retried the original Tresor the other day, prompted, I think by BoisdeJasmin's thoughts on the subject. I still got a whopping blast of something I associate with mass- produced Perfume with a capital P. All Lancome fragrances do that to me—very headache-inducing. You can tell that the formulas would work beautifully if they were made with better ingredients. I'm hoping their re-issue of 1000 et une Rose will be the exception to the rule. L, Tresor is very, very strong…would actually like to try this sheer version, it might suit me better. But I know what you mean about the Lancomes! And yes — hoping Mille et une Rose is *exactly* the same as 2000 et une Rose, which was just perfect as it was. Ya, the original Tresor was a real disappointment to me too. So much so that I'm just not interested in this one. However, I'd sure like to get my hands on a reasonably priced bottle of i Profumi di Firenze – Zenzero. Anyone know where to find it? When will it be distributed out of the exclusive rut? Doing a Search for it, brings up sites, but not in English. And whatever IS that fizzy Ginger top note? It can't be all just Ginger, can it? It's 'sparkling' and 'fizzy' to me. Kind of like when you first open a can of soda and the spray mist tickles the inside of your nose. Never been a fan of Tresor. I do agree that it smells like mass-produced perfume, way too “perfumey” for me. BUT, Robin, I did get my bottle of Anisia Bella and I LOVE LOVE LOVE it, thank you again for a great recommendation. I also got a decant of Bond No. 9's Chinatown on your recommendation too, LOVE LOVE LOVE it, but was slightly disappointed with the staying power. That will save me money on buying the full bottle…staying power's big for me. I still might have to own a bottle one day, but there's other's higher on my list. Don't know what the note is, but can think of other fizzy gingers: Three AsFour, the NellyRodi Ginger. Trying to remember now if the Miller & Bertaux is fizzy but can't. Barneys was to have an exclusive through this spring, so guessing it will be at other places within the next few months…but for a cheaper bottle, don't know what you can do other than go to Florence. G, I am so glad you like Anisia Bella! Surprised you have a problem with the lasting power of Chinatown, I found it quite good. Curious if it is a spray or splash decant? It' was one of those little splash decant samples, but I did order a roll-on decant – I'll try it again soon. I also tried Yuzu Rouge, it's really beautiful, thank you for that recommendation, too. Anisia Bella has great lasting power on me, especially for an EDT. Have you noticed the same? Yes, no problem with the lasting power of Anisia Bella. Yuzu Rouge lasts well for a citrus, but not quite so well as the AB. But would have thought Chinatown would easily beat either! This new Eau de Printemps is as different from Trésor as Miracle is from Miracle So Magic. I was expecting something even fresher than the edt version, maybe more rose and peach and less vanilla. But what I got instead is a fruity floral with spicy note reminding me of licorice wood. I didn't like Trésor when it came but now I like it more and more. It's the signature fragrance of a very nice co-worker of mine and it suits her very well. It's like only kind hearted persons wear Trésor. Well, you've pretty much killed that lemming — but of course I'll give it a sniff anyway when I see it. Thanks C.